Publication Bureau, Punjabi University, Patiala. 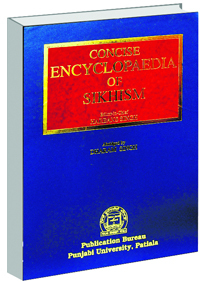 The Encyclopaedia of Sikhism was the late Professor Harbans Singh's magnum opus, a project he devoted two decades of his life to. 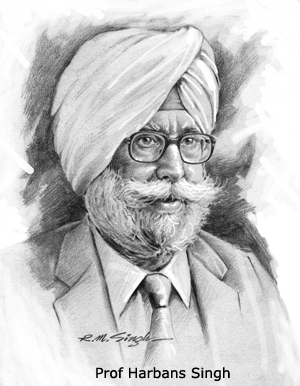 A suave gentleman, known for his polished and courtly manner, he earned his Masters in English Literature, from Khalsa College, Amritsar in 1943. He had a distinguished career. He taught English, was a principal of Government College, Muktsar. In 1960, he was appointed Member-Secretary of the Punjabi University Commission and two years later, became the first Registrar of Punjabi University. He was Fellow at the Center for the Study of World Religions of the Harvard University, USA, in 1968-69, during which period he published Guru Nanak and Origins of the Sikh Faith. Later, he was appointed Professor and made Chairman of the Department of Religious Studies in Punjabi University Patiala. 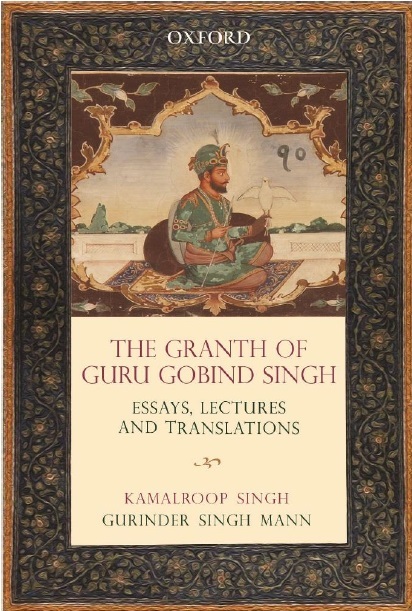 He devoted all his time to writing on the Sikh religion and the encyclopaedia project. So much so that it was often said that he declined to be Vice-Chancellor of the university, since it would impinge on the time he was devoting to his primary task of completing the compilation and editing of the encyclopaedia. His knowledge, wide-ranging contacts with academic scholars, and his dedication — all resulted in the publication of the four-volume encyclopaedia. Indeed, I remember meeting him on many occasions as he toiled over the entries, cross-checking facts, editing them, fine-tuning the language. As years progressed, the encyclopaedia started taking shape and in it were to be found entries on Sikh history, theology, philosophy, literature, art and architecture, customs and ceremonies, sects, personalities, and the like. The list of scholars who have contributed to the volume is impressive, and includes a virtual who's who of academics from Punjab, and many foreign scholars who have worked on the region, its arts, heritage and religions. Professor Harbans Singh had a small team of scholars who assisted him in this endeavour. It was this team that continued its work after he suffered a stroke. This left him with physical impairments, although he was mentally alert able to continue his work. Among the dedicated members of the team was Professor Dharam Singh, who has now published an abridged version of the Encyclopaedia. He has kept all the entries in the original four-volume publication. Considering that the original volumes were terse to begin with, this was a tough job. Punjabi University, Patiala, has done a commendable job in publishing the volume which is handy, as encyclopaedias go, and concise. The print run of 550 copies seems conservative. I am sure that there will soon be demand for many more copies as people reach out to the handy single-volume encyclopaedia. Merely browsing thought it brings to light so many facets of Sikh history and culture, that one is tempted to read more. There is no doubt that the original four-volume work will retain its seminal status, and will continue to be the reference work which is held in high esteem. The concise version, however, may well serve the purpose of providing handy ready reference work even as it whets their appetite for more, which the original copy will provide.